SPACE IS KEY AS LAWRENCE+MEMORIAL HOSPITAL CONSOLIDATES, INCORPORATING FLEXIBILITY AND PATIENT CENTERED CARE INTO THE PLAN. 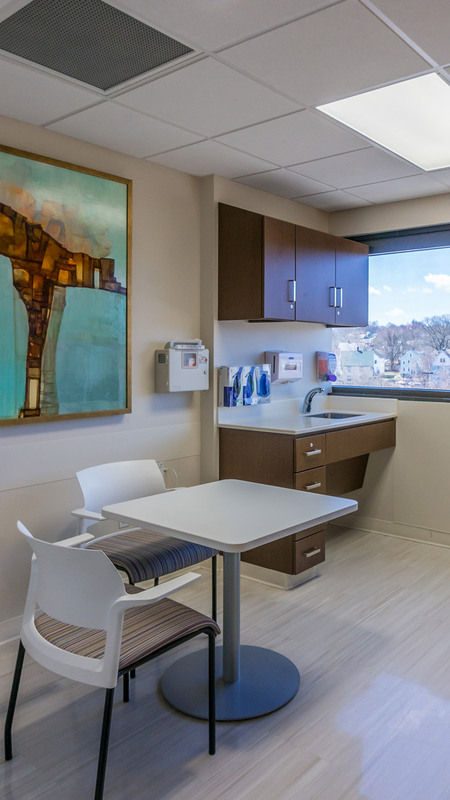 With Doctors located in multiple spaces throughout New London, CT, one of the key project goals for Lawrence+Memorial was to consolidate lease holdings and bring practitioners together under one roof. However, real estate optimization was just the departure point. 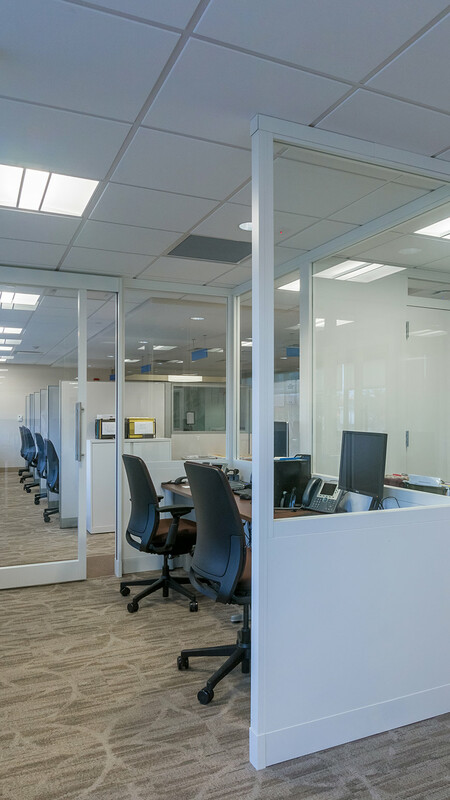 By utilizing demountable Privacy Walls, the team ensured that the space can easily be adjusted to accommodate future change. In addition, the new facility was designed to support Lawrence+Memorial’s population health management and patient experience initiatives. Exam rooms facilitate eye-to-eye contact, easy access to technology and quick collaboration sessions between clinicians.